4 payments of $241.04 to be paid over the next 4 months (1 payment due each month) to pay the remaining balance. 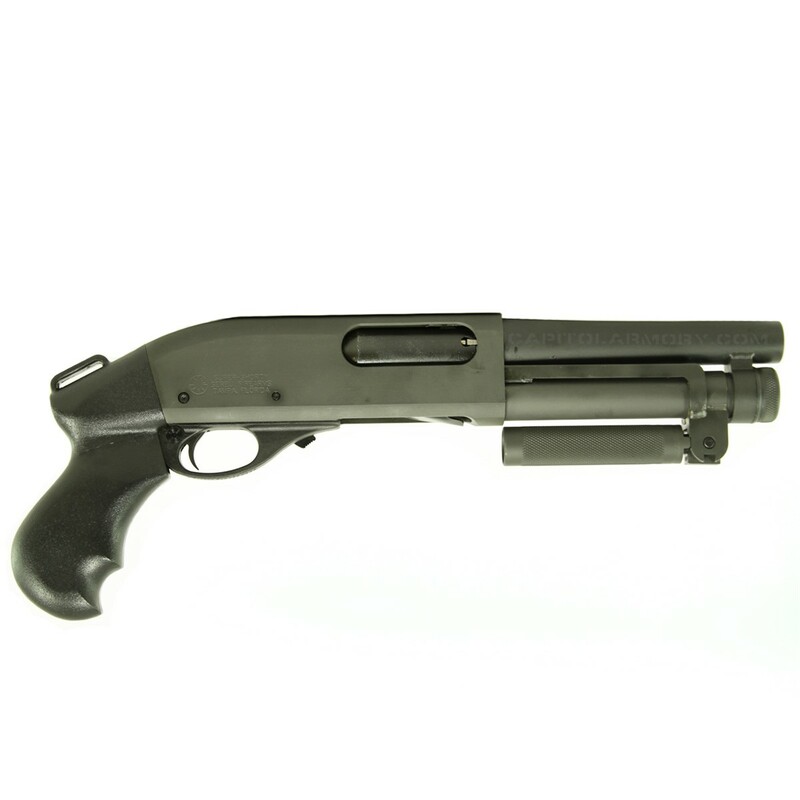 The Serbu Super-Shorty is based on either the Mossberg 500 or the Remington 870 12-gauge shotgun. Super Shorties come in either 2 + 1 or 3 + 1 configurations and are registered Any Other Weapon, requiring a $5 ATF tax stamp instead of the standard $200. The 2+1 configuration sports a 17.5" overall length and 6.5" barrel. The 3 + 1 configuration sports a 20" overall length and 9" barrel. 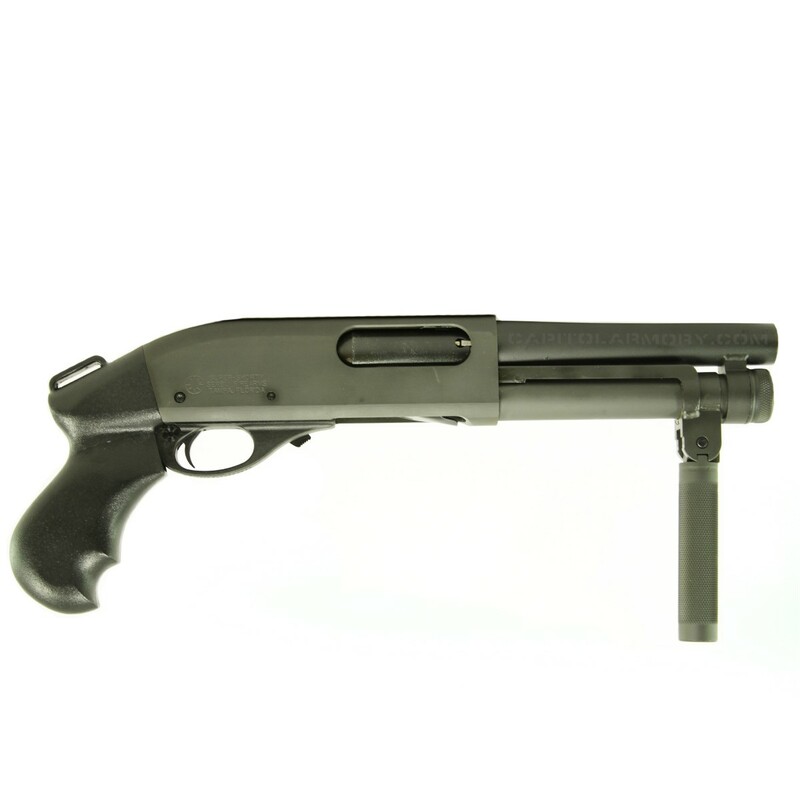 The SUPER-SHORTY is based on a Mossberg 500 or Remington 870 (at additional cost) 12-gauge shotgun that came from the factory with a pistol grip. Because of this, the SUPER-SHORTY is considered an AOW (Any Other Weapon) and can be transferred with a $5 stamp! The gun holds two 2-3/4" or 3" shells in the magazine, plus one in the chamber. The 16.5" overall length, 6.5" barrel and spring-locked foregrip, which pivots out of the way when not in use, make for a very compact package. As far as we know, this is the shortest 12-gauge pump shotgun available. All parts for the SUPER-SHORTY are made in-house on our own CNC machinery using materials ideally suited to the task. All welds are done by the TIG process, and the manganese phosphate finish is MIL-spec. The SUPER-SHORTY is currently being used by various law enforcement agencies and military units worldwide, and has appeared in movies, TV shows and video games. If you like the idea of concealed carry with a 12-gauge, or like a lot of "bang" in a small package, or just want the most compact breaching weapon available, then this is the gun for you. You won't find a better made AOW pump shotgun than the SUPER-SHORTY!